Cardiovascular disease represents a major clinical problem both here in the United States and in the rest of the world. Studies have shown that life-threatening plaques usually have abnormal microvasculature. 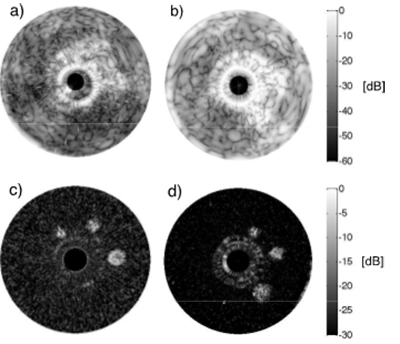 The goal of this project is to develop a contrast-enhanced ultrasound imaging method to detect microvasculature in the carotid and coronary arteries. This includes the development of wideband high frequency ultrasound transducers, and the development of contrast agents for high frequency (> 15 MHz) applications.